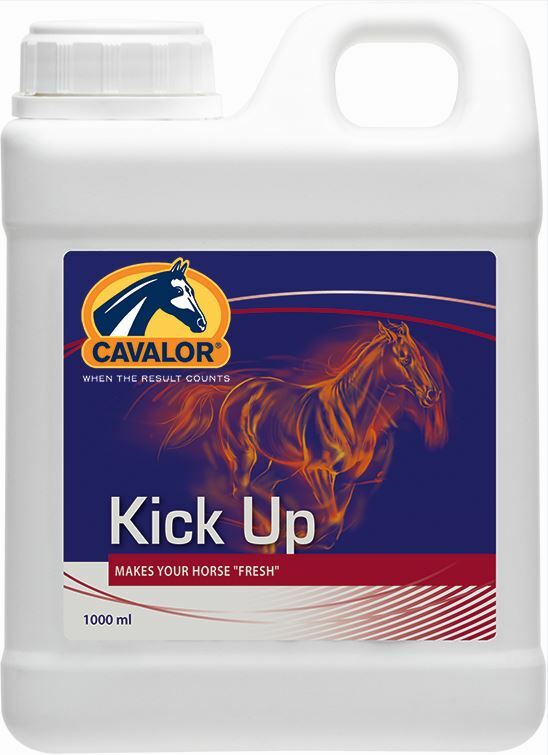 Cavalor Kick Up is formulated to give more energy & improve the performance of competition horses. You should notice a difference in your horse after only two days. It contains a quality blend of Omega 3 & 6 fatty acids; amino acids; vitamins & minerals. The vitamins & trace elements in Cavalor Kick Up include Iron; Magnesium; Copper; Cobalt; Vitamins B1, B2, B12 & E. Feeding Instructions Competition horses- Give 50mls twice weekly, whilst training or give daily for 7-10 days around the time of a competition. Ponies & recreation horses- Give 25mls twice weekly, whilst training or give daily for 7-10days around the time of a competition. Vetidral Solution is a high quality electrolyte liquid formulated by Audevard. NAF EnerG is formulated to support your competition horse & enable them to perform at their very best. It is rich in iron & all the other vitamins, trace elements & anti-oxidants required to maximise your horse's energy levels & absorption of iron. EnerG Shot is a concentrated combination of essential amino acids & iron. It comes in an easy to give syringe & is designed to aid energy metabolism & production of red blood cells, helping your horse maximise his performance when it's needed the most. Equistro Haemolytan 400 is a vitamin, mineral & trace element liquid supplement, containing high levels of iron, as well as copper; zinc; cobalt; Vitamin B complexes & Vitamin K3. Cavalor An Energy Boost syringes are formulated to be given just before a competition, to give your horse optimum energy levels so they can perform to their very best. They contain easily absorbable electrolytes; B Vitamins; amino acids & glucose. Hemorax Poweder has been specially designed to be fed to performance horses to support the pulmonary functions.